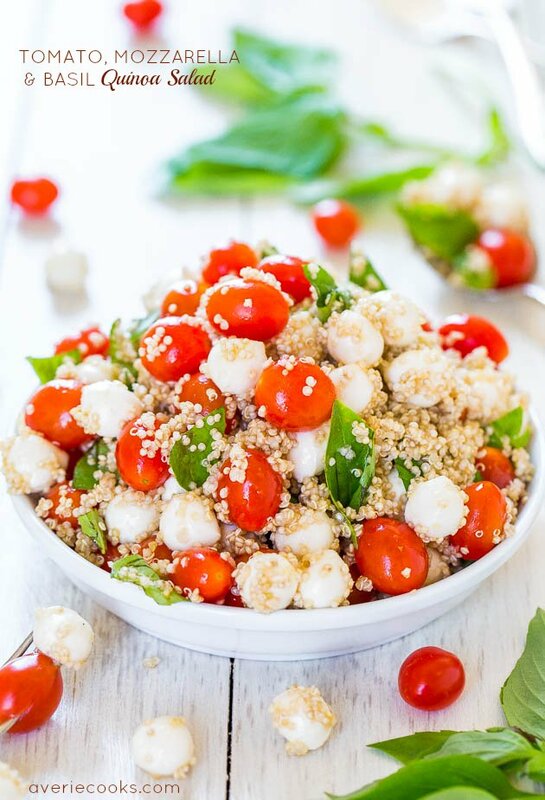 I loved this salad and so did my family. Here’s to sticking with those New Year’s resolutions into February. There are so many wonderful textures and flavors in every bite you can’t help but like it. 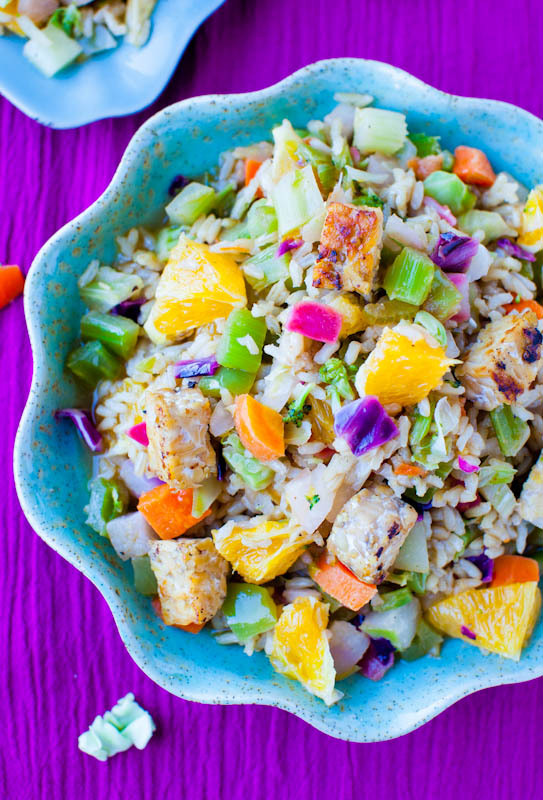 It’s filling, satisfying, and healthy. 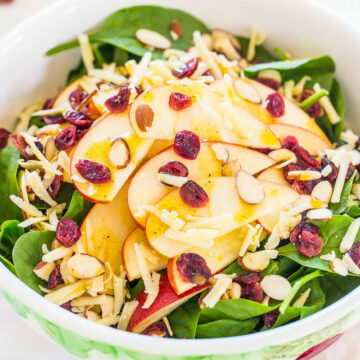 Hearty spinach, crisp juicy apples, salty cheese, chewy orange-flavored dried cranberries, and almonds for extra crunch. 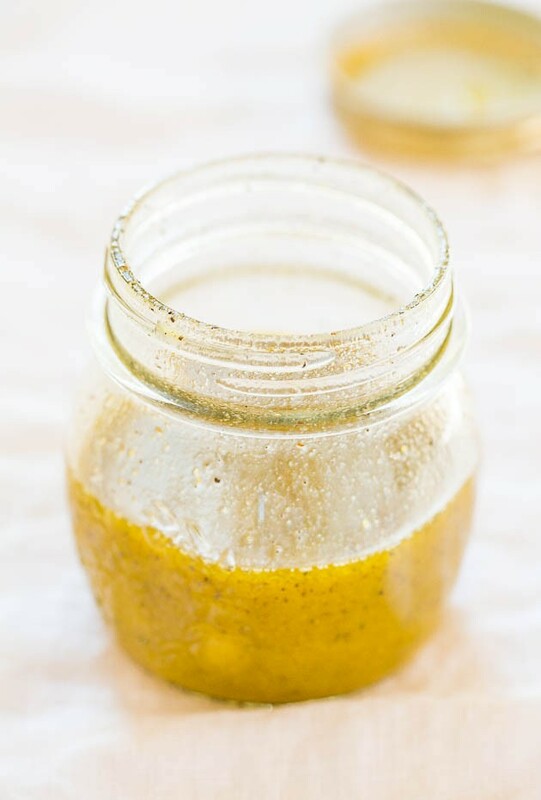 There’s a simple shake-it-together vinaigrette that’s tangy-yet-sweet from olive oil, apple cider vinegar, honey, and mustard. It coats each and every bite perfectly. If you have extra, it’ll keep airtight in the fridge for a week. 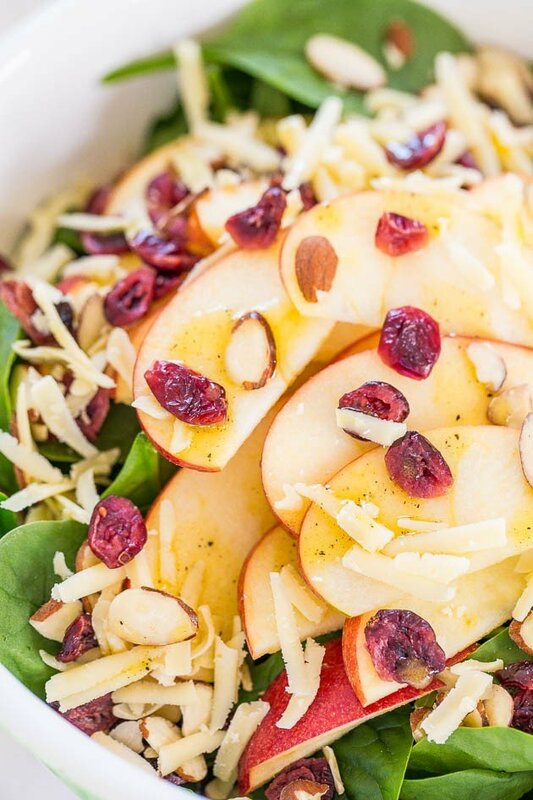 Honey-Apple Cider Vinaigrette – In a small glass jar or container with a lid, add all ingredients, put the lid on and shake vigorously until combined; taste vinaigrette and tweak as necessary to taste. 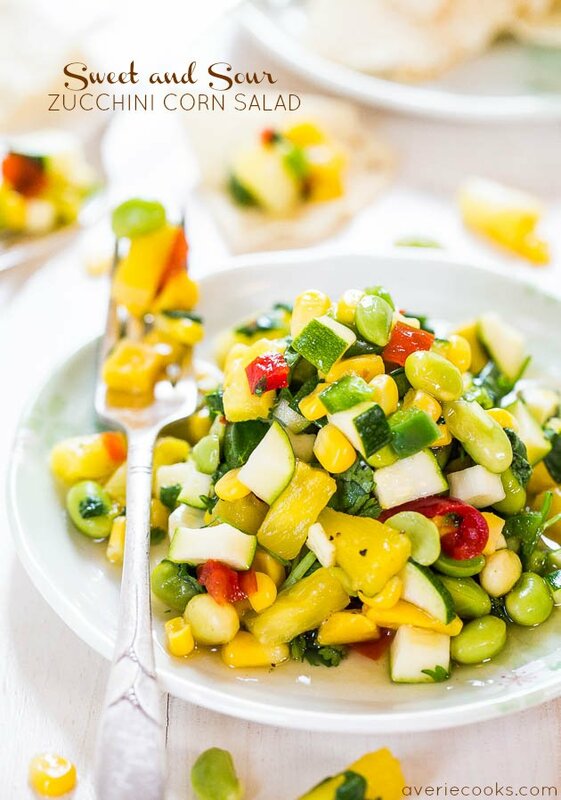 Drizzle over salad, toss to combine, and serve immediately. 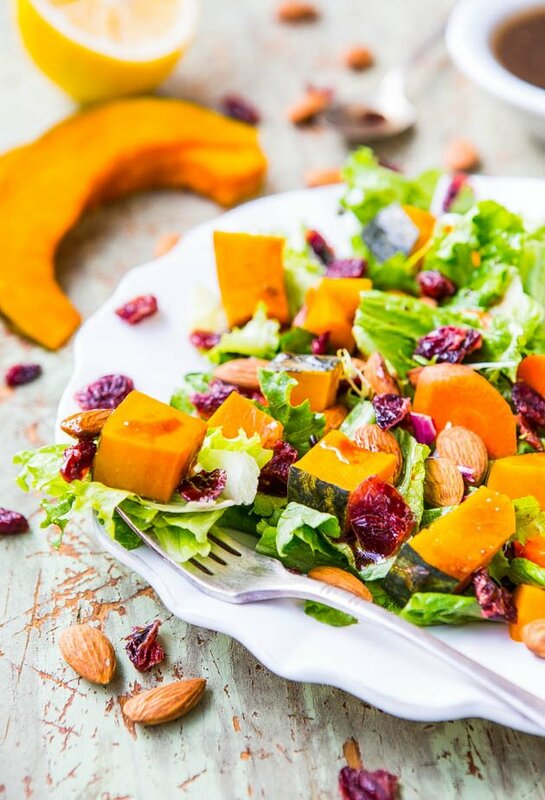 If you don’t use all the vinaigrette, extra will keep airtight in the fridge for up to 1 week. Can you substitute Guyere or Swiss cheese for the aged white cheddar? Of course – use most any cheese you have on hand! So, learned something new today. 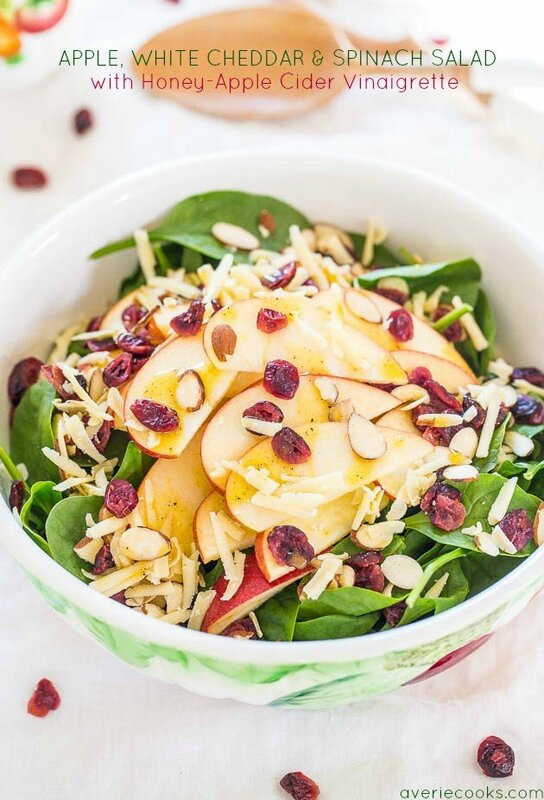 Those cranberries my husband “hates” somehow are perfectly awesome on salad. Go figure. Made it for myself thinking he wouldn’t want any since it has all the elements of nothing he likes. 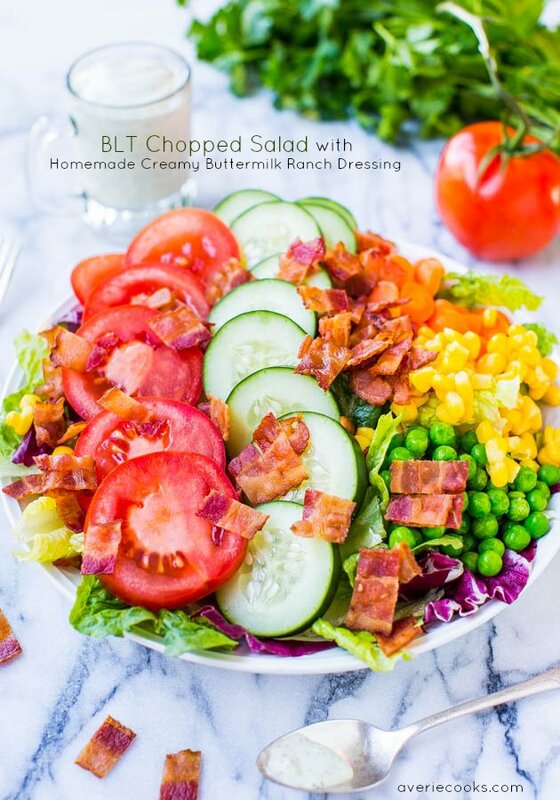 But I think I am one step closer to incorporating non-ranch salad in my life. Can I get an AMEN! That is awesome he liked the cranberries, even though he previously ‘hated’ them. Yeah, kids (and men) can be soooo fickle about what they think they don’t like, when it’s presented in a new way! Love it when this happens! Make it today! Yum!! Ok, used glazed walnuts because I used the last of the pecans to make spiced nuts. I’ve made those! https://www.averiecooks.com/2012/05/cornflake-chocolate-chip-marshmallow-cookies-milk-bar-mondays.html Okay I will say (sorry but just being honest here) her cookies don’t turn out super well for me or most any home-bakers when I do google searches and talk shop with other bloggers/bakers. I swear her recipes are written for commercial scale, and scaling them down and with at-home-equipment, I never get thick and puffy cookies. Her cookies ALWAYS come out thin for me. Too much butter for the amount of everything else and they spread, my .02 anyway. I would personally use this dough base https://www.averiecooks.com/2014/02/the-best-soft-and-chewy-chocolate-chip-cookies.html, scale the flour back a little, add some cornflakes and marshmallows, and call it a day. Please LMK how things turn out if you make her cookies following her recipe! And the salad…the glazed walnuts sound heavenly! I actually wanted to use spiced/glazed nuts for this recipe but ran out of time and just used them as-is. Your salad was probably amazing! Yep, most were fairly flat. It did seem to be too much butter and there wasn’t enough chocolate (but after 10 minutes of creaming butter/sugar/egg with a hand mixer I wasn’t thinking I wanted to mix anything else in). I’ve made the compost and the blueberries and cream before…with the same results. I do like the crumbly bits in them tho’ (yeah, i cheated on the graham cracker pie crumbs and broke up a Kebbler crust). I really like some of the ideas so I guess I’m going to work on making the parts I like work in practice. Thanks for sharing your thoughts and your stuff!! Tried this salad yesterday. My family – not cranberries lovers. Well, they are now. Food presented in the right way can make wonders. Thanks for trying the recipe and I’m glad it made cranberry lovers out of those who thought they ‘didn’t like cranberries’! Love stories like this! 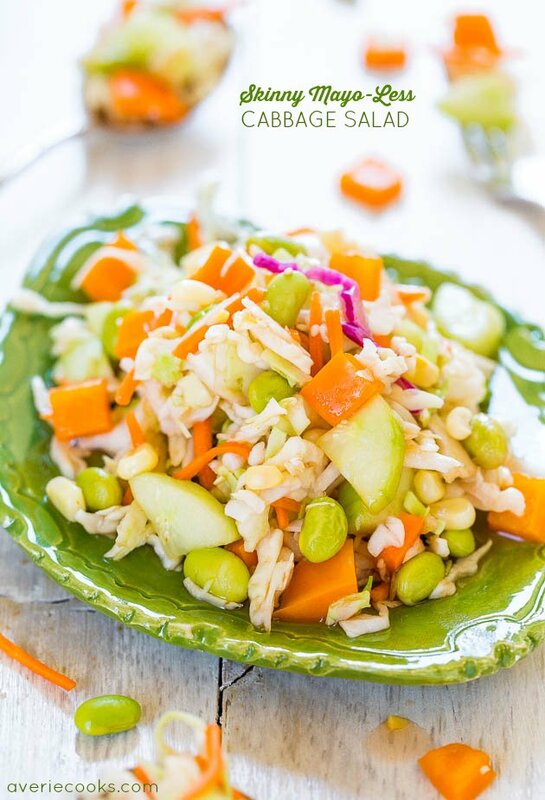 I’m making this salad tonight! Just replacing the almonds with sunflower seeds. Should be yummy!